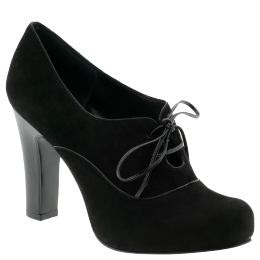 We call these "shooties" at work, which makes me throw up in my mouth a little bit whenever I hear that. 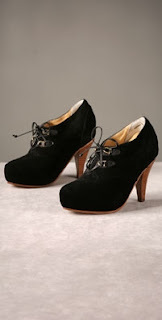 I prefer to call them "booties," as they are, basically, a shorter version of an ankle boot. I do not, however, advocate wearing them as shoes--in other words, with dresses and skirts--unless you have super-long, super-thin legs, or unless you don't mind suffering from stumpy-leg syndrome. I do, however, approve of wearing these booties with pants, whether you're taking the plunge on fall's high-waisted wide-leg styles, or if you're sticking with skinny for the time being. My favorite version of the bootie is a lace-up style that gives a nod to the '20s-inspired looks from the runway; and especially if you're wearing them with a wide-leg pant, a platform is in order. If you absolutely must wear them with bare legs, the lacing will create a vertical line that will help elongate the leg. And we can always use a little elongation, no? If I had an unlimited clothing budget, I would march myself right over to Barneys and treat myself to some Lanvin. This Oxford pump, with its faceted heel and hidden platform, is practically a work of art. And, hey, it's cheaper than a Richard Prince print! The fact that Derek Lam's Federica has an open toe pushes it into "shootie" territory. But it's a gutsy move, and my inner Edna and Patsy love the impracticality of it. Swoon. 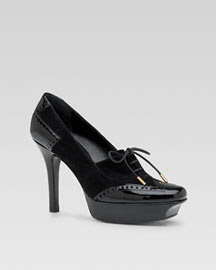 The Eva from Gucci has a low enough vamp that even a muscular-legged gal could get away with wearing it with a skirt. And since it has such lovely detailing, it would almost be a shame to hide it under pants. Max Studio's Cooper is a bit higher than the rest and could probably be called a true ankle boot, but with its two-tone effect, it almost looks like a shoe with an ankle sock underneath. 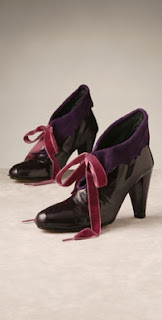 Which is kind of weird, but with the elegant heel and spectator detailing, somehow it all works. Speaking of offbeat shoes that somehow make it work, the Bottine moccasin bootie from Maloles definitely falls into that category. You definitely need a little quirk to pull this one off, but this is definitely not a boot you'll see on half the girls walking down the street. Which I like. One of my favorite looks overall is Charlotte Ronson's Daria suede bootie, which has a hidden platform and a fun round toe. The price, also, is not too bad. 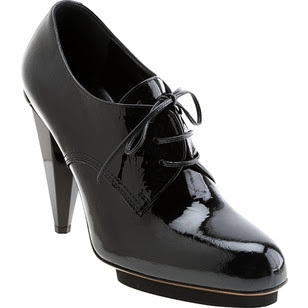 Definitely not a pair to wear with a bare leg, these MICHAEL Michael Kors Panama Oxfords are mega-clunky. 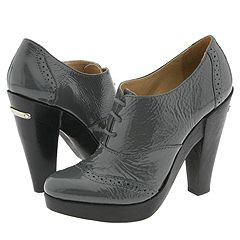 But Kors knows all-American style, and according to the reviews, they're actually comfortable. 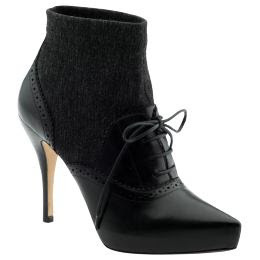 If you liked the Derek Lam shoe above, the Maran from Vince Camuto is a good bet at a much more affordable price. The patent leather is very winter-friendly also. Sometimes, though, a girl just needs an everyday, no-frills black boot. 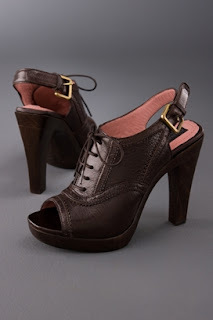 I used to hate their shoes, but in recent seasons, the quality of Nine West's designs has improved greatly, and the Naso is a fine-looking example--not a shootie.